An area of active growth, the Museum has a collection of more than 1,000 works of African art. 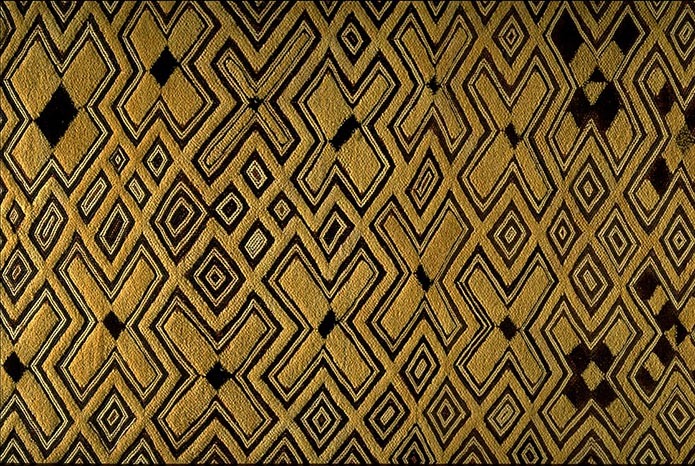 Although there is representation of nearly all the diverse peoples and regions within the continent, the Museum’s holdings are particularly rich in the works created in Central Africa, particularly of the Congo region and related groups. The collection includes metalwork (brass weights as well as articles of personal adornment), sculpture and masks, architectural elements, textiles, and ceramics. UMMA is home to the largest collection of Asian art in the state of Michigan, with more than 4500 objects that range in time from the third millennium BCE to the present and represent cultures from Afghanistan to Java and Japan. Special strengths include Chinese and Japanese painting as well as Chinese and Korean ceramics. India is well represented by religious sculpture and miniature painting, while the holdings in Southeast Asian art are primarily in Buddhist sculpture. The collection is actively growing, with recent major gifts of Japanese prints and textiles, Korean ceramics, Chinese folk art, and Southeast Asian sculpture and decorative arts. The Chinese painting collection at UMMA is justly renowned for its breadth and depth, with more than 200 works representing major artistic movements from the thirteenth century to modern times. Ming period painting in both the courtly and literati styles is a special strength, with works by such luminaries as Wu Wei, Zhou Chen, Wen Zhengming, and Sheng Maoye, to name only a few. There are nearly 400 examples of Chinese ceramics in the Museum, ranging in date from the Neolithic period to the twentieth century, and particularly rich in pieces of the Han (second century BCE–second century CE) and Song (tenth to thirteenth century) periods. Other clusters of interest include bronze mirrors, Buddhist sculpture, calligraphy, rubbings (particularly of the famous second-century Wu Family Shrine), nineteenth-century textiles, and twentieth-century folk art. UMMA’s collection of Korean art grew more than five-fold in 2004, when the Museum acquired nearly 250 objects, including ceramics, brassware, and furniture. With this addition, UMMA is able to present a comprehensive survey of Korean ceramics—Korea’s most distinct and enduring art form—spanning from the third to the nineteenth centuries. The Korean collection superbly complements the Museum’s strengths in Chinese and Japanese ceramics. The Korean collection continues to expand with recent acquisition of lacquerware, painting, and calligraphy. 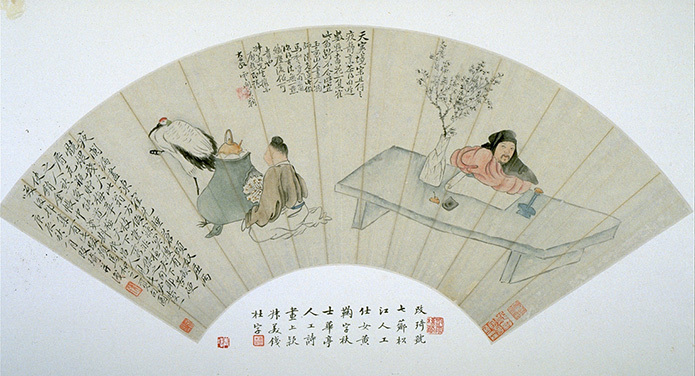 The Japanese painting collection at UMMA is especially strong in paintings of the Edo period (1615–1868), especially the literati and naturalist schools (with artists such as Ike Taiga, Hine Taizan, Matsumura Goshun, and Nakabayashi Chikutō, among others), as well as works of artists affiliated with the Ôbaku School of Zen. The Edo-based Ukiyo-e tradition is represented by a few superb paintings and a large selection of prints, especially ofonnagata, or Kabuki actors in female roles. The ceramic collection is notable for tea wares, including a tea caddy once owned by the grand tea master Kobori Enshū and teabowls by Raku Ryōnyū and Raku Tan’nyū; a large group of works by Seifū Yohei, a peerless craftsman who worked for the imperial atelier in Kyoto in the late nineteenth century; and a selection of vessels by the leading studio potters of the 20th century, such as Arakawa Toyozō, Hamada Shōji, Kaneshige Tōyō, Kawai Kanjirō, Katō Tōkurō, and Takahashi Rakusai III. In addition, the textile collection was greatly expanded with the recent acquisition of more than 70 pieces of magnificent kimono and obi created in the 20th century. UMMA’s collection of Middle Eastern art consists of works from Syria, Iran, Iraq, North Africa, and Turkey, among other regions, dating from as early as 1000 BCE to the 21st century. The collection contains works in various media, including ceramic vessels and tiles, calligraphy, textiles, and metalwork and features many works of fritware—a type of ceramic made from quartz and white clay that imitates Chinese porcelain. Highlights of UMMA’s Middle Eastern collection include an extraordinary pair of 13th-century Turkish bronze candlestick holders, a stunning 17th–18th-century fritware underglaze blue-and-white platter from Iran, and a 12th–13th-century Syrian stone cenotaph. Perhaps the most important Islamic work in the collection is a complete 15th-century manuscript of the Shahnama (The Book of Kings), now known as the Ann Arbor Shahnama, while the most recent addition to the collection is a triptych by the contemporary Syrian calligrapher, Khaled al’Saa’i (b. 1970) entitled Resurrection. The South Asian sculpture collection spans two millennia and a wide geographical range. Among the earliest works are female fertility figures and Buddhist reliefs dating to the first through fifth centuries, from Gandhara, Mathura, and Nagarjunakonda. The medieval period (sixth through thirteenth centuries) is represented by stone temple sculptures or bronze votive statues of the major Hindu deities from Kashmir in the north to Bengal in the east and Tamil Nadu in the south. From later periods, there are several dated Jaina bronze sculptures, and several hundred miniature folk bronzes, representing Hindu deities or village heroes. The Museum collection includes over 100 Indian paintings, most of which are from Rajput centers in Rajasthan or the Punjab, but also include Jaina and Mughal works. The most recent additions to the collection include several major works of stone sculpture, a Tibetan Kadampa stupa of the thirteenth century, and village textiles. The UMMA collection of Southeast Asian art is focused on Buddhist and Hindu sculpture from Thailand, Cambodia, Myanmar and Indonesia. The recent major gift from the Doris Duke Foundation helped to expand the Buddhist art collection, which includes a complete set of Thai Buddhist altar and lacquerware, Chinese ceramics made for Thai market, and Burmese sculpture. There is also a small but significant collection of ceramics, including Neolithic wares of the Ban Chieng Culture in Thailand; Sawankhalok ware, also from Thailand; and Vietnamese trade ware. UMMA has assembled a choice group of domestic design objects consisting of works of decorative arts and iconic twentieth-century furniture design. This gallery contains works by Louis Comfort Tiffany, including large architectural elements from the legendary Henry O. Havemeyer House in New York that represents one of the great assemblages of work by the artist in any American museum. Also on view are works of American and European decorative art from 1890 to 1925, including stained glass windows by Frank Lloyd Wright, silverwares from the Vienna Werkstätte, and made-in-Detroit Pewabic pottery. Several of the pieces on view in UMMA's dedicated design gallery, the A. Alfred Taubman Gallery II, located on the second floor of the Maxine and Stuart Frankel and the Frankel Family Wing, represent the Museum's rededication to modern and contemporary visual culture, and to making its holdings more visible. 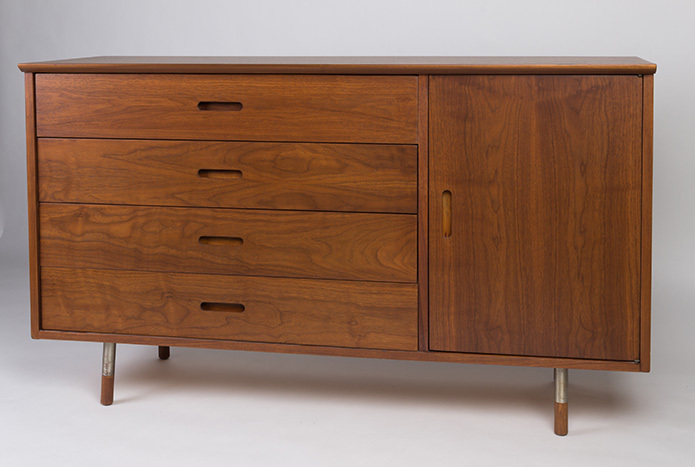 Objects include pieces by Bauhaus-inspired European modernist Marcel Breuer, Charles and Ray Eames, visionary and futurist designer Norman Bel Geddes, Michigan native Florence Knoll, Frank Gehry, Hella Jongerius, and Japanese-American designer George Nakashima. The collection of modern and contemporary art at UMMA covers the whole of the twentieth century and extends up to the present day. Early modern masters such as Pablo Picasso and Juan Gris introduce Cubism to viewers, and movements such as Surrealism, German Expressionism, and Abstract Expressionism are also well represented. UMMA’s holdings of art produced during the latter half of the twentieth century include masterpieces by Franz Kline, Helen Frankenthaler, Joan Mitchell, Richard Diebenkorn, and Larry Rivers. More recent work by artists such as Enriuque Chagoya, Felix Gonzalez-Torres, Ann Hamilton, Sally Mann, and Carrie Mae Weems bring UMMA’s collections up to the present day. Whether in painting, sculpture, prints, drawings, photographs, fiber, wood, metalworking, glass, or basketry, the modern and contemporary collections at UMMA demonstrate the brilliant and wide-ranging artistic output of the past 100 years. The photography collection includes examples of Daguerrotypes, paper negative images, carte-de-visites, and tintypes by early photographers such as William Henry Fox Talbot and photographs by significant Photo-Secession artists, such as Alvin Langdon Coburn, Edward Steichen, Alfred Stieglitz, Paul Strand, and Clarence White. Early-to-mid-twentieth century photographers in the collection include Berenice Abbott, Ansel Adams, Eugène Atget, Walker Evans, André Kertész, Dorothea Lange, August Sander, and Edward Weston. 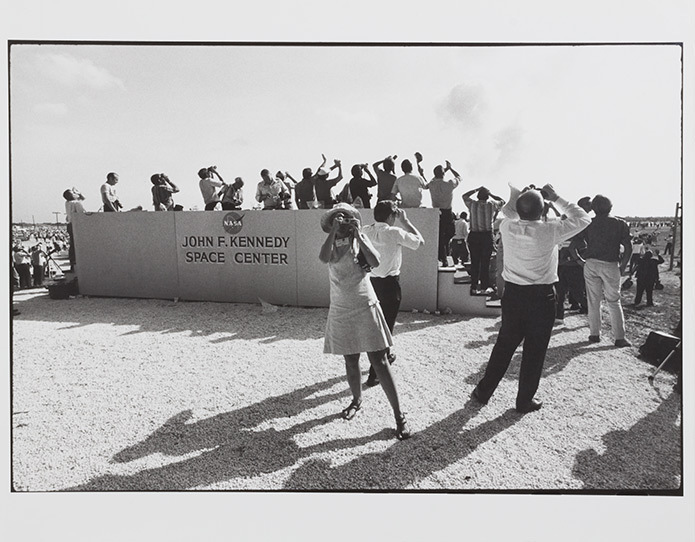 Late-twentieth and twenty-first century photographers such as Andy Warhol, Garry Winogrand, Sally Mann, Carrie Mae Weems, and Nikki S. Lee are also represented in UMMA's extensive photography holdings. European art, ranging from the late medieval period to the present is represented through all media within the Museum’s collections—painting, sculpture, decorative arts, and works on paper. Carved ivories, enamels and sculpture of the Middle Ages are among the earliest works in this portion of the collections, which also includes Italian renaissance panel paintings, Flemish genre paintings, and both religious and secular imagery by Baroque artists such as Philippe de Champagne and David Teniers. The collection also has important holdings of sculpture, metalwork, ceramics, and textiles. Academic and avant-garde painting of the eighteenth and nineteenth centuries are represented by artists such as Natoire, Perronneau, Bouguereau, Delacroix, and Monet. 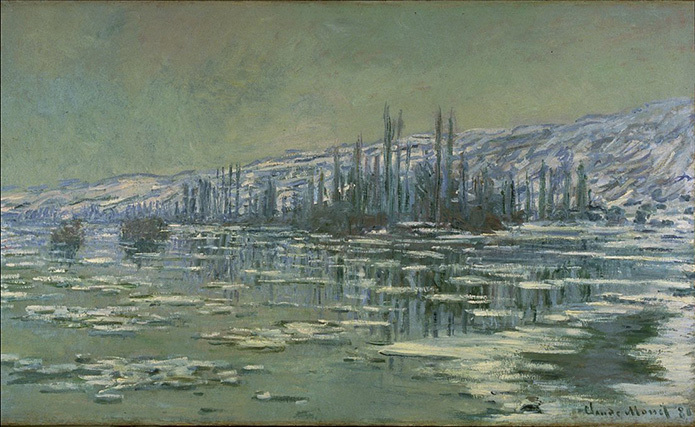 American art of the nineteenth and twentieth centuries is richly represented in the Museum’s collections with a wide array of works including a portrait by Rembrandt Peale, Hudson River School landscapes, an exceptional early Whistler seascape, and sculpture by Hiram Powers and Randolph Rogers to Tony Smith. 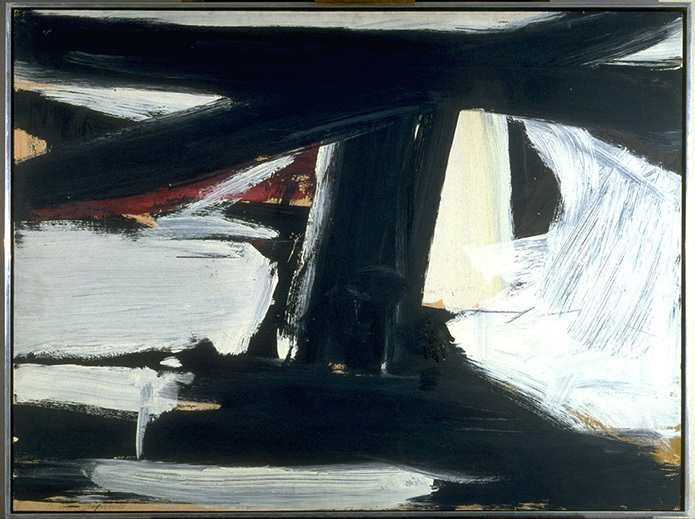 Important works by Helen Frankenthaler, Franz Kline, and Frank Stella represent painting of the twentieth century. The Museum’s collections also have important holdings in folk and “Outsider” art, as well as in works on paper. In this latter category, important prints and drawings by artists such as Jim Dine, Sol LeWitt, Robert Rauschenberg, and Andy Warhol augment the contributions of American artists, while the emerging importance of photography in the twentieth century can be explored through the works of Ansel Adams, Walker Evans, Sally Mann, Alfred Stieglitz, and Paul Strand.